The purpose of this document is to outline BA owners of some simple and factory modifications that can be used to enhance your BAâ€™S performance. This Modification comprises of adding the BF Typhoon Airbox which has two air ducts allowing more airflow into the airbox. 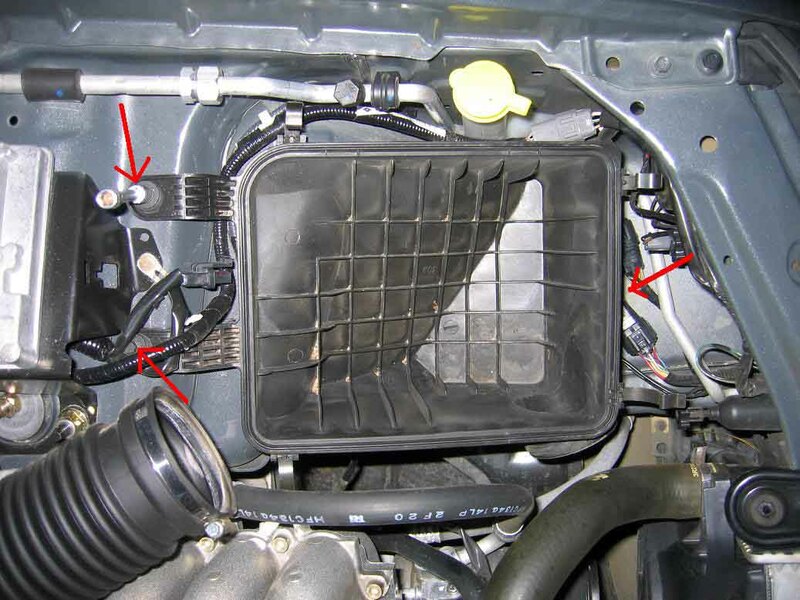 This modification will help improve airflow to your Airbox. Donâ€™t expect a miracle but every mod helps! THIS WILL NOT FIT EGAS VEHICLES! You can now remove the air filter. You can now remove the lower half of the Airbox by undoing the 3 retaining bolts with a socket set. Take your new Airbox and place the typhoon front snorkel onto it by squeezing the snorkel thru the opening. 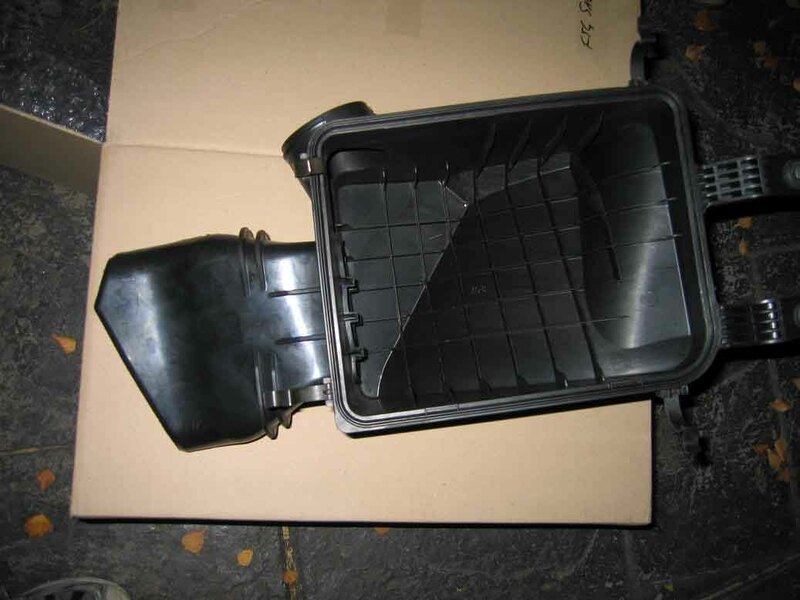 You may need to also remove the clips from your old Airbox lower half. These simply just unclip by unhooking the clip then pulling it away from the Airbox lower half. Put these on to your new lower half by hooking them on then pushing till they clip on. Once this is done remove the rubber grommets from your old lower Airbox by pulling the metal shaft out and then pulling the rubber grommet out from the bottom. To install in your new lower Airbox put the rubber grommet on then insert the metal shaft from the bottom. Place the Airbox in your engine bay by sliding the front part in first towards the headlight. Reinstall the 3 retaining bolts â€“ the one under the new front snorkel may need to be done with a ring spanner. 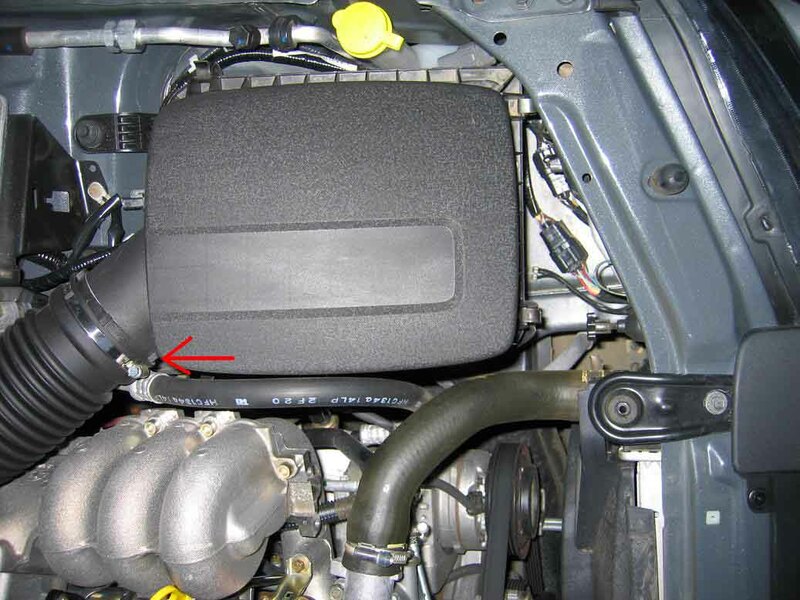 Place the air filter back in your Airbox lower half. Re-attach your Airbox lid to the lower half by placing it on top then clipping the retaining spring clips on. 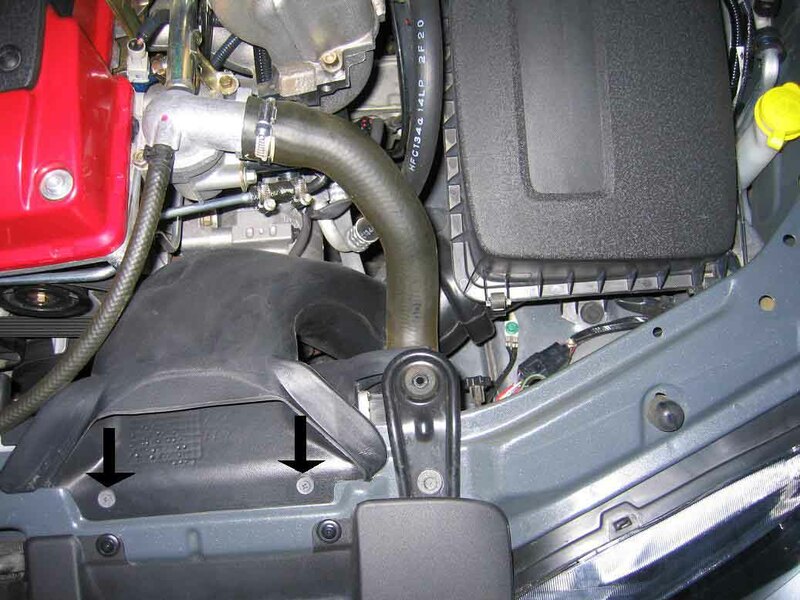 Reconnect your induction pipe to your Airbox Place the snorkel back on to your Airbox by pushing it on to the lower half while twisting it. Reinstall the two screws. 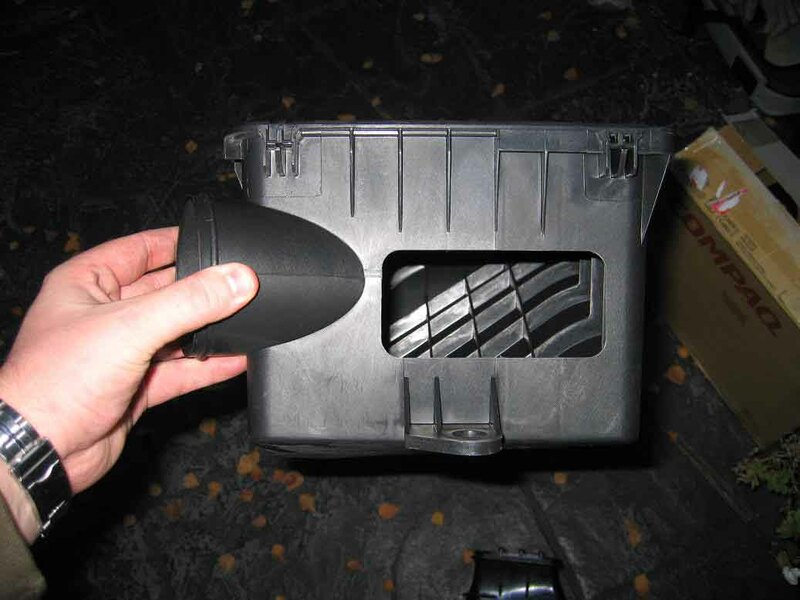 Congratulations â€“ You have now successfully installed your BF Typhoon / XR8 Airbox! Document written by: Nicko on 10 2006>, Copyright © 2006 Nicko, all rights reserved.